Early August is one of my favorite times of year in the Hudson River Valley. It is when the farmers' markets and roadside stands are full-to-bursting with the summer's bounty of locally grown vegetables and fruit. It is glorious! I always look forward to this part of summer because it is when plums—one of my favorite fruits—arrive. I'm in Heaven. 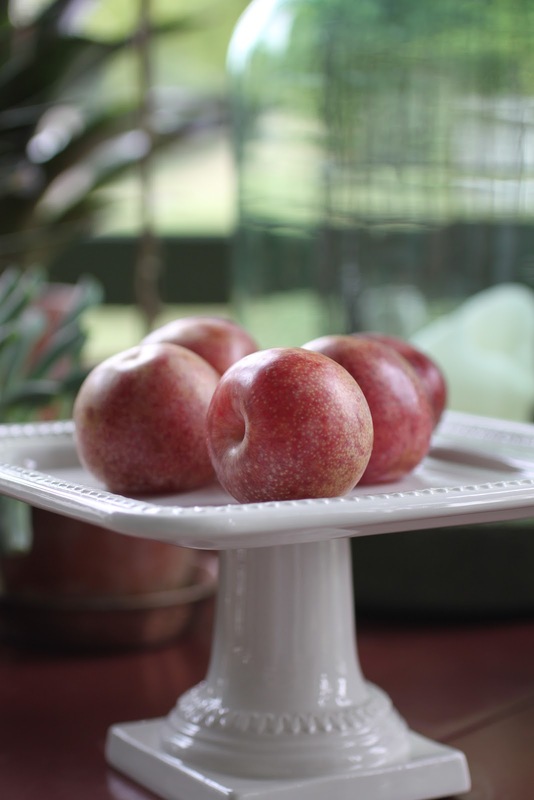 Did you know that plums are native to America? 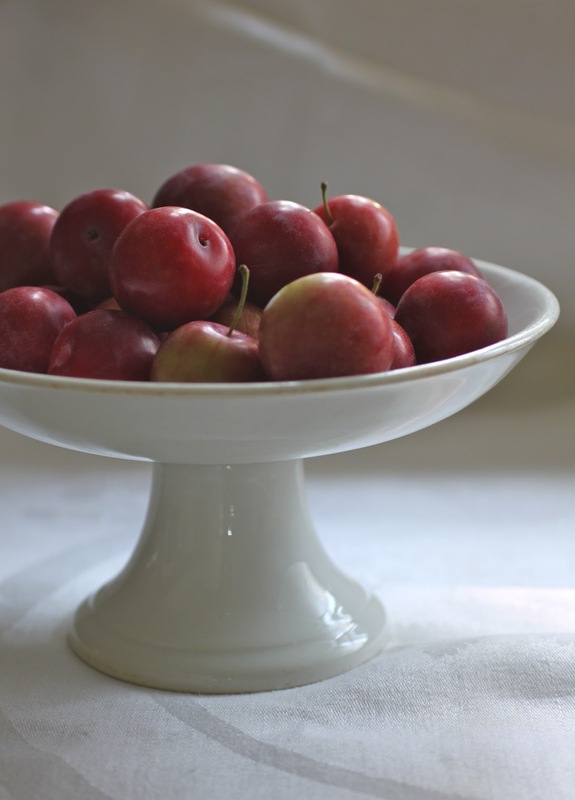 Unlike apples, which were brought to these shores by early European settlers, plums have always grown here. 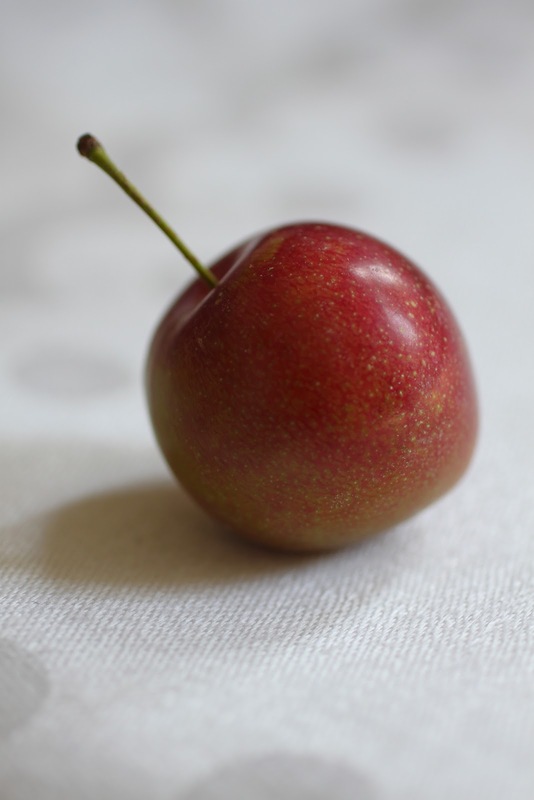 Most northern geographies throughout the world have some form of native plums. They are in the same genus, Prunus, with more than one hundred other stone fruits and nuts, including apricots, peaches, cherries, and almonds. 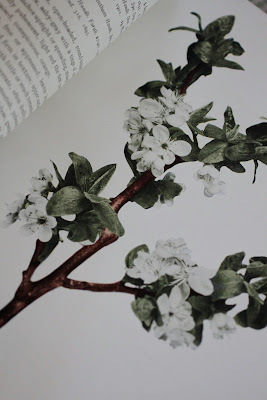 Two years ago I wrote about one of the treasures in our library at Darlington House, the two-volume Apples of New York. We are also the proud owners of The Plums of New York, The Cherries of New York, and The Wild Flowers of New York. These books, along with others in the series focusing on the fruit and flora grown in New York, were published by the state in the first decades of the twentieth century. The books are highly prized by collectors for their beautiful color plates and for the wealth of information they contain about what was once grown in the Empire State. They were published before our mass-market agribusiness almost succeeded in destroying the domestic food source with easy-to-ship, long-lasting, chemical-soaked, gassed, uniform, and largely tasteless product. Thank goodness that bait-and-switch connivance has since been rejected . . .
Just as the soulless international style of "modern" architecture and the brutalist city planning of the urban "renewal" eras of the 1960s and 1970s prompted the explosion of architectural preservation and restoration movements in this country, so did the near-ruination of our food by corporations in the mid-twentieth century lead to the spectacular growth and popularity of the locavore, small-farmer, organic, heritage-breed food movement that has returned the concept of flavor to our tables. Our copy of The Plums of New York was published in 1911 and weighs a prodigious nine pounds. 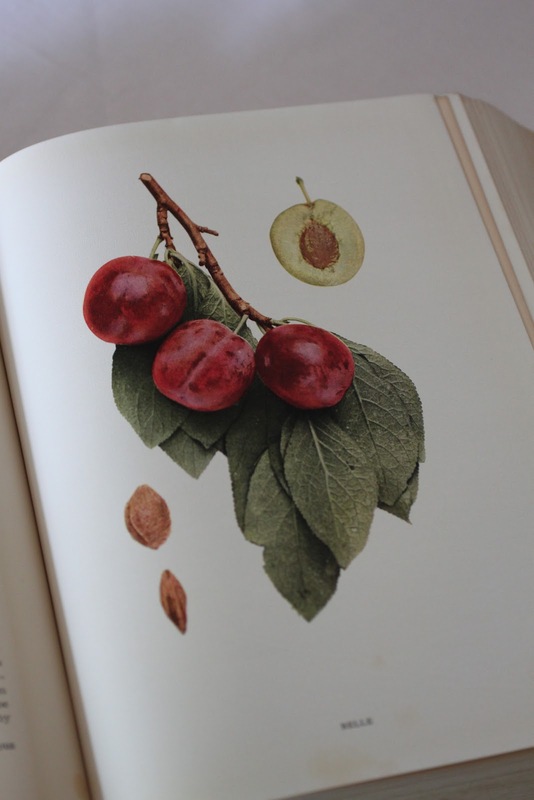 It is a lengthy tome of 615 pages and contains over one hundred color illustrations of different plums that were once grown in New York, many of which have since been lost to time. How marvelous it must have been to have the selection of plums that was commonly available here in New York one hundred years ago. And how fortunate we are to have so many more choices available to us today than was the case but a mere twenty years ago. A champion of heritage fruit and buildings old and historic. I am from Lexington, Missouri, an historic town along the Missouri River. Like the Hudson River Valley, we too have orchards and buildings that some of us believe are worth saving. I am new to this blog. But I am home. Thank you. 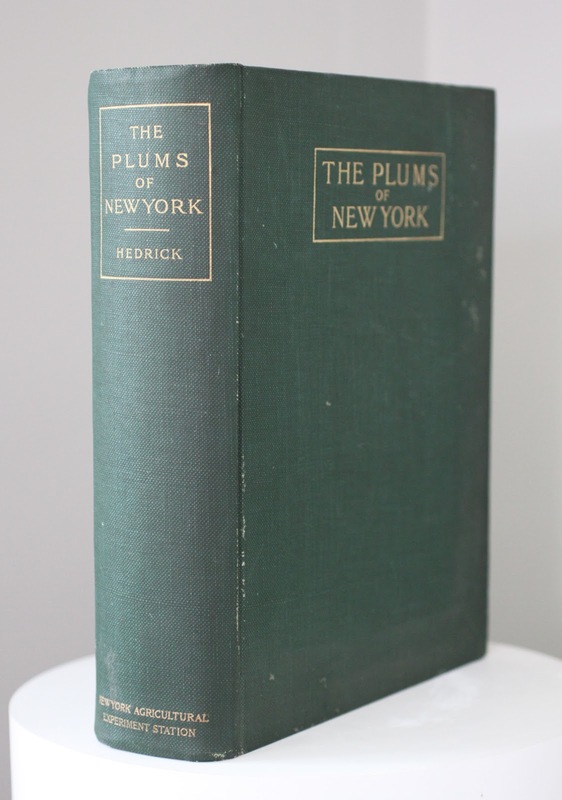 Hello Reggie, The Plums of New York was the first volume I obtained from that series, and I have spent many pleasant hours perusing it. My favorite plums were some we discovered growing wild in a thicket at the edge of a woods. They were small, green, and very flavorful, and we called them our wild greengages. One year they were especially abundant, and we had to find ways of using so many. We even revived old-fashioned plum butter, which turned out delicious. Oh I love plums! as well as the WCW ode to plums you've shared. I didn't know they were native though. Reggie, thank goodness we can find flavorful fruit like luscious plums. It is just the worst experience to bite into what looks so good and find it tastes like cardboard! Here we have stone fruit at Christmas. I love plums, and we used to stay at a farm where preserved fruit in glass jars was the go. The plums were very soft and tart. We have some so called native plums in Australia eg A quandong but they are not cultivated much to my knowledge. Off to check last fact, you always send me on a quest for more, Reggie. I have fond memories of picking (and eating before they made it into my basket) wild plums as a child in rural South Carolina. Love your tribute to this delicious summer treat! Oh, you would enjoy going to the website for "This American Life" and searching-on-the-site for the program which features 20 or so variations on/parodies of the Williams poem....all written and recited by authors such as David Rakoff, Sarah Vowell, and the usual, very funny TALife stable. I think the program aired about two or three years ago. It'll be in the archives; just google "This American Life Willima Carlos Williams Plums". As you might be able to guess, I've reached the age at which I spend a lot of time googling the three or so flag-words from something I really can't recall on my own. We had no idea that plums were, in fact, native to America. Here the first ones appeared last week in our local market, home grown in the surrounding countryside, and absolutely delicious eaten as dessert after a meal. We were delighted to see you quoting the poem 'This is Just to Say' which has long been a firm favourite of ours. I love plums as well, though I'm guessing your purchase is sweeter or tarter! The book looks really handsome; I'm guessing the color plates are lithographs. As one of those who visits her local farmer's market for fresh fruits and vegetables, I will be going this Thursday in search of Gravenstein apples--the very best for making pies. I agree with what you're saying about agri-business destroying our food supply/taste. Here in Mendocino County we were able to stop the use of genetically-modified seed and now there are petitions being circulated to get a measure on the California ballot that would force manufacturers to list any genetically-modified ingredient in their product. I'm hopeful. I had no idea plums were native. Our attempt at growing them was unfortunately not successful; each tree yeilded only one or two fruits. RANT ON REGGIE, one of the main reasons we grow most of our own produce is the tasteless chemical and genetically modified food available in the supermarket. Even when the FDA does ban these poisons, they allow the food corporations to FINISH USING THE SUPPLY THEY HAVE ON HAND! Usually several years supply. We are fortunate enough to feast off the bounty of our lone, but prolific, Santa Rosa Plum tree each June. It provides us with juicy and tender plums the color of a rich port wine. The fruits are unmatched in terms of taste, I feel, especially when compared to what is commercially available at super markets. I just did a quick search on-line, and found an LA Times article describing the taste of Santa Rosa plums as "the gold standard for farmers market plum flavor". This is a perfect description of what one experiences upon biting into these little jewels. Reggie, your post is beautifully photographed and illustrated, as usual, and a delight to read. Keep up the good work as we, your loyal readers, appreciate it. What a beautiful post, I was out with a Baroness yesterday ( she doesn't use her title, might have to marry into the family just to have it on my library card) who made me eat my weight in plums from her garden, there is no saying no to high falllutin' folk. William Carlos Williams--an American poet telling it like it is about an American native. PS I couldn't agree with you more about your digression about the corporate food industry. Grrrr. Loved your digression on historic preservation and locavore foodways. Your blog is wonderfully informative. Thanks. Love that poem by W.C.W. and what a beautiful book! Wonderful post. That plummy tome would be lovely to leaf through on a porch with some iced tea. We are in the midst of the annual greengage harvest. Soon the Mt. Royals. And the peaches. Happy Summer to you!